Welcome to the Official Cabo San Lucas Tourism Guide. Cabo San Lucas is a geographical beacon of enlightenment and entertainment. Being a city that revolves around tourism, the excitement and mystery in Cabo never ceases. One can scratch the surface of Cabo San Lucas' beauty through a magazine or photo... but the true essense and exposure to Cabos charm is actually being there! Every layer of experience comes from the exotic location and spirit of the beautiful city of Cabo San Lucas sportfishing. From the quality of the food you eat (caught or ordered), to the hospitality of the hotel or resort you stay at.While there are many fine accommodations for lodging timeshare rentals offer some of the most exclusive places to stay. Vacationers have the option of many Mexico timeshares to choose whether they desire a resale or rental. Fishing charters to parasailing, you and everyone who comes has no choice but to smile with joy. 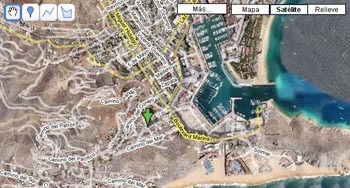 TheOfficialCaboGuide.com will allow you to plan and schedule every detail of your next getaway to this wonderful city. This site focuses on the main points of any trip, like safety (medical center listings), shelter (unrivaled hotel/real estate), cuisine (BEST restaurant and eaterys available in Cabo), to any and all possible fun-filled and enriching activies like massive Cabo San Lucas sportfishing charters, cabo scuba diving/snorkeling, cabo tours/excursions and of course the epic cabo beaches! Let our searchable restaurant inventory and 'favorite' feature be your first step to planning this momentous trip. Customize every single event you wish to have lined-up and even the means to do so, with our extensive database of locations, affordable prices/packages, and endless activities at your disposal while in Cabo San Lucas sportfishing. Los Cabos offers a wide variety of dining options for its vacation travelers from casual local eateries to elegant fine dining in restaurants along the oceanfront. Los Cabos Hotels and Resorts can provide a Hotel or Resort for every style of living and every budget. When the sun goes down, Los Cabos comes alive. Nightclubs, bars, Mexican drinks, music, dancing. Body Shot, Giggling Marlin, Squid Roe, Cabo Wabo, Roxx, Mambo Cafe. Cabo San Lucas sportfishing charters became the Marlin Sportfishing Capital of the World; many other species of fish may be caught with great challenge. Medical center with information and resources for patients, clinicians, businesses. Search feature for health information. From deep, relaxing massages to revitalizing skin care treatments, our holistic services speak to your essence. This restaurant directory has complete listings for restaurants in Cabo San Lucas with Name, addresses, descriptions, phone numbers put together just for you. Planning your wedding in Los Cabos, should be the easiest and flawless day of your life. At the tip of Baja where the Sea of Cortez meets the blue Pacific and the mountains melts on the desert. Listing of the many beaches in Cabo San Lucas and the Los Cabos area along the Sea of Cortez and Pacific coast. Clear blue-green waters, long stretches of white sandy beaches, desert serenity and night life - this is Cabo San Lucas. Long known for its world renown sportfishing. Wave Runners, Kayak, Parasail, Snorkeling, Scuba Diving, Surfing, Windsurfing. The expertly designed courses have earned Los Cabos the reputation as one of the best golf destinations in the world. Cabo San Lucas and Los Cabos area real estate golf course lots, beach front resorts, spacious villas, developments and condominiums. For Los Cabos - Arts & Crafts, Clothing, Discounts, Jewelry, Leather, Perfumes, Tequila and more shopping.